After posing makeup-free for Paper magazine, the Grammy winner shared new bare-faced photos on social media. 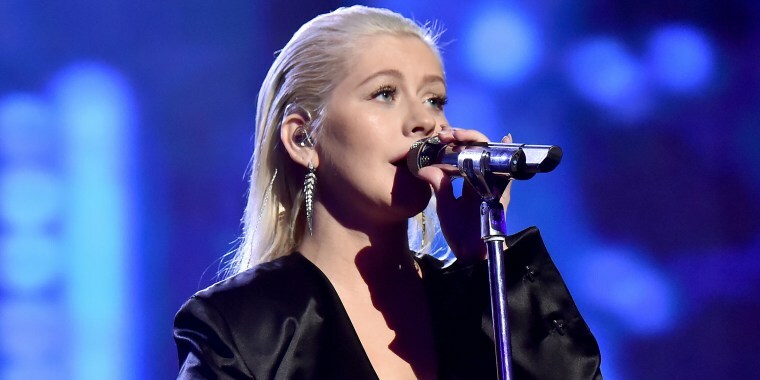 Christina Aguilera is showing off her natural beauty! After stunning the internet last month when she posed bare-faced for the cover of Paper magazine, the singer, 37, shared some new, gorgeous photos on social media — and it looks like she went, yet again, almost (or entirely) makeup-free. "Forgot how much I love getting pierced....so euphoric for me...wonder what else I should get done again," Aguilera wrote in a caption. The vocalist's natural look could have been inspired by her Paper magazine photos, in which she receives a dramatic makeunder. Her portraits for Paper celebrated the beauty of her glowing, natural skin — freckles and all. Aguilera also rocked a stripped-down look in a recent snapshot with her fiancé, Matt Rutler, which she shared on Instagram for his birthday. This minimalist vibe is really working for her — and she couldn’t be more “Beautiful”!